We have always received a professional service in terms of quality and value for money, customer service is good, always friendly, helpful and efficient. We provide practical and highly effective fire alarm systems to meet specific client requirements, and have the experience and resources to plan and prepare concepts and detailed drawings for even the most complex integrated systems. This expertise is supported by a network of dedicated engineers, and complemented by our internal customer service teams who are responsible for progressing customer orders through to equipment supply, installation, commissioning and after-sales service. From a simple, two-zone conventional control panel to the most complex interactive digitally addressable fire alarm systems, we install into a variety of commercial environments. We can also provide an interactive, fully addressable fire detection system, which is designed to reduce false alarms through the most reliable fire detection capabilities. 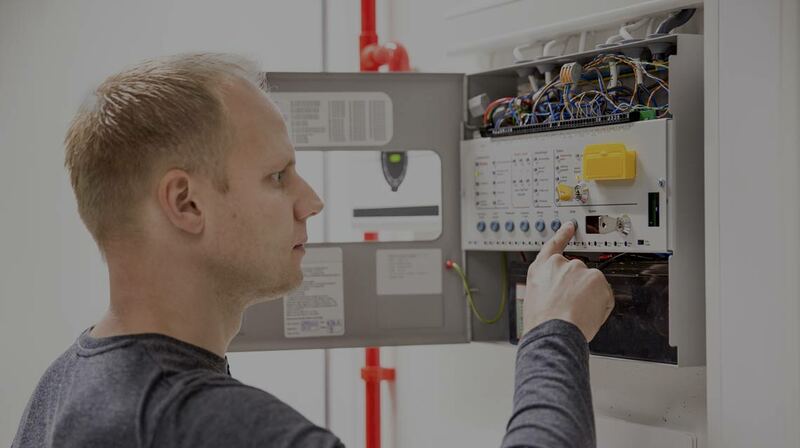 We can also offer a complete, turnkey package, including conventional and addressable fire alarm systems which can also include extinguishing and fire suppression options. This expertise is built on a close working relationship with our major clients, and encompasses system design, on-site installation, commissioning and a full 24 hour on-call maintenance service. Our projects department is responsible for undertaking installation works directly for the end user or on behalf of major electrical contractors. Works are controlled by our skilled engineering teams based on size, complexity and value.